In Con’s words: leadership is about vision, the will and desire to achieve that and the collaboration with community partners to change systems for the better. The importance of mentoring the next generation – well. Vermont has unique forms of government and engagement – the importance of leveraging opportunities. Con’s final takeaway: All human change happens at the family and community levels and we can’t expect change to start at the agency level. Can you have difficult conversations with diverse stakeholders and at the same time sustain these relationships? Can you share dissent that opens up conversations? Can you commit to staying around long enough to see change through? Vision doesn’t stay the same over time. What theory of change do you work with? What kind of accountability or responsibility data framework do you use? RBA? Other? How do you create sustainability among changing staff/high turnover? Sustainability among changing staff/high turn over. Con’s final comments struck an important chord with the group – all human change happens at the family and community levels and we can’t expect change to start at the agency level. thank you to Con and the participants for a lively and interesting look at what leadership is. Cornelius Hogan of Plainfield, Vermont, has served as a Senior Fellow with the Center for the Study of Social Policy, a Senior Consultant for the Annie E. Casey Foundation, a faculty member of the National Governor’s Association Center for Best Practice, A Director of Fletcher Allen Health Care, Chair of the National Advisory Committee for the Robert Wood Johnson initiative for Strengthening Families through health care access, a member of the Advisory Committee for the National Center for Children in Poverty, and as a consultant to the Children’s Defense Fund in the fashioning of a program to cover all children for health insurance. 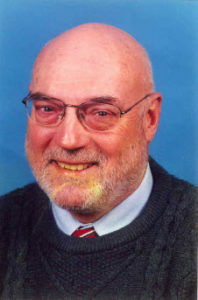 He was Secretary of Vermont’s Agency of Human Services from 1991 through 1999. He holds a Master’s Degree in Government Administration from the Wharton School of the University of Pennsylvania. Hogan earned his undergraduate degree at Rutgers. He was awarded an honorary Doctor of Laws degree from the University of Vermont, where he presented the commencement address for the graduating UVM Class of 2000. He was also awarded an Honorary Doctor of Humane Letters, Green Mountain College, May 2012. He is a past President of the American Public Human Services Association and is a Director of the Permanent Fund for the Well Being of Vermont’s children. Earlier, Mr. Hogan had a 15 year career in Corrections, including being Vermont’s Corrections Commissioner. He was also President and CEO of a successful mid-sized corporation for the decade in the 80’s. Mr. Hogan has been active in a variety of efforts to improve the circumstances of children, families, and communities including: the closing of Vermont’s only children’s reform school; closing of Vermont’s only training school for persons designated developmentally disabled; reducing the census at the Vermont State Hospital; implementing a statewide welfare reform program in 1994; and establishing outcomes throughout Vermont that have demonstrated measurable, significant, and sometimes dramatic improvement in the condition of Vermont’s people, in areas such as child support collections, parentage establishment, child abuse, teen pregnancy, and early childhood health and nutrition programs. Most recently he has been a resource to local, state, federal and other nations, working in Ireland, Scotland, the Netherlands, the UK, Australia, Israel, Chile, Northern Ireland, and Norway in the work of finding common purpose and obtaining results in the well being of children, families, and communities. Hogan is a former chair of the Board of Trustees of the Vermont College of Fine Arts and is currently a member of the five person Green Mountain Care Board. He is the author or co-author of six books: “Vermont Communities Count”, “At the Crossroads: The Future of Health Care in Vermont”, “Gridlock: The Unhealthy Politics of Health Care in Vermont”, “Outcomes: Reframing Responsibility for Well Being” and three books of short stories “Met Along the Way: Short Stories About People in Vermont”, “Also, Met Along the Way”, and “Finally, Met Along the Way”.